Born in Gettysburg, Pennsylvania, Roger J. Ecker attended Gettysburg College, graduating with a Bachelor of Arts Degree in 1965. He was a member of Phi Alpha Theta, an honors fraternity. Roger then attended Dickinson School of Law, where he served as Associate Editor to the Law Review and received his Juris Doctor degree in 1968. Shortly after beginning his legal career, Mr. Ecker served as an Assistant District Attorney in Washington County. The interest in litigation he developed during that period has continued, and he now serves as head of the firm’s litigation section. Mr. Ecker remains active in civil litigation and in business related matters. He served as legal counsel in Stevenson v. Commonwealth of Pa., a class action which successfully challenged in the Supreme Court certain practices of the Pennsylvania Lottery Commission. In the past twenty years Mr. Ecker has litigated numerous cases in diverse oil, gas and mineral law issues in both state and federal courts in Western Pennsylvania, representing both plaintiffs and defendants in complex litigation. These issues have involved injunctions, quiet title actions, declaratory judgments, as well as regulatory and zoning matters before various state and local municipalities, and the construction of mining facilities, gas compressor stations and pipeline facilities. Mr. Ecker has defended clients in state and federal courts in civil rights actions filed against boroughs, counties and other municipal corporations. He has also served as legal counsel in the prosecution of class action lawsuits and has been employed to defend similar actions in state and federal courts. 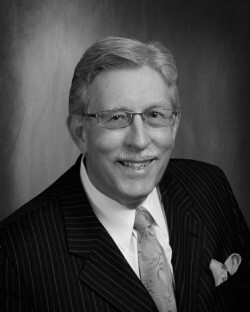 A member of the Washington County, Allegheny County and Pennsylvania Bar Associations, Mr. Ecker served in 1989 as President of the Washington County Bar Association and was President of the Academy of Trial Lawyers of Washington County in 1995. He was elected a fellow in the American College of Trial Lawyers. He is also a member of the Pennsylvania Association for Justice and the Pennsylvania Defense Institute. He has been selected by his peers as one of Pennsylvania “Super Lawyers” in the field of Civil Litigation. He is admitted to practice before the United States Supreme Court, the Third Circuit Court of Appeals, and the Federal District for the Western District of Pennsylvania. He is also admitted to practice before the Pennsylvania Supreme Court and all Pennsylvania Appellate Courts and all county courts in Western Pennsylvania. “Wrongful Death, Survival Actions and Inheritance Tax Seminar”: Academy of Trial Lawyers of Southwestern Pennsylvania, Seminar with Judges from Washington, Allegheny, Greene and Westmoreland Counties. Penn State Dickinson Law, J.D.